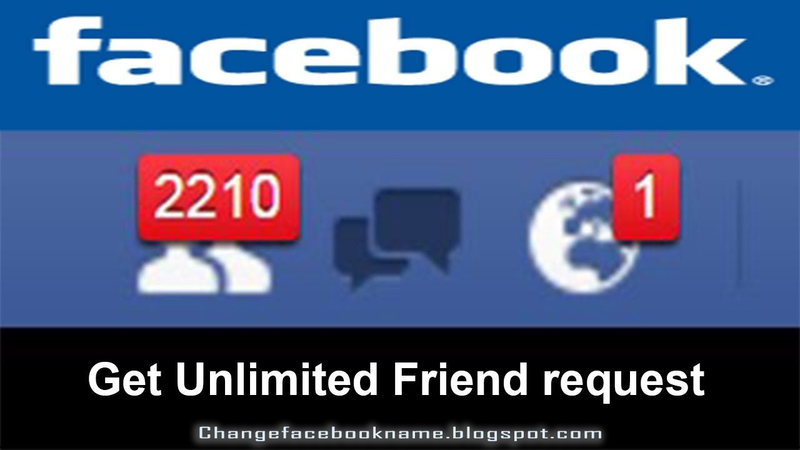 How to get Unlimited Facebook Friends: Facebook as we all know is a social media network where users interact with one another by posting, commenting, reacting and all other interactive means. These interactions are majorly done among those that are following one another on Facebook, they are called “friends”. In order to acquire friends, one need to forward a friend request to other Facebook users or accept the request sent to you. Facebook may seem sometimes boring for individual who has little or no friends, there will be no one to interact with, no one to check automatically view his/her posts, no one to comment of his/her posts. 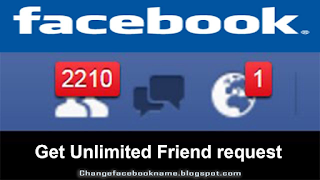 The more friend you have on Facebook, the easier it becomes to interact and have unlimited fun on Facebook, but it seems hard to get enough friends; this article discusses how you could get unlimited friends request on your Facebook account in no time. Note that you can have those that sent you a friend request to automatically follow you even when you are yet to accept their friend’s request. This can be done by going to your Facebook account settings, click on followers and then change the settings to “Everyone can follow you”. Facebook is not only to post photos and videos, you can also interact with various online groups. By joining lots of Facebook group and also interacting effectively within the group, you are actually calling other within the group to be your friend on Facebook. The more groups you join, the more friend request you get. Sending lots of friend’s request will definitely earn you more friends, it could also help to get more friend request, the secret here is that when you forward a friend request to someone, your name will definitely be part of the suggested friends list of the individual’s friend. To get more friend request using this method, target those that has thousands of friend and forward a request to them, at least some of his/her numerous friends will forward a request to you. By carrying out these activities on constant basis, your friend request will definitely be unlimited. I hope I have helped acquire unlimited friend request? Kindly share this article with all your friend.